BGBS is an international company with SAP Platinum partnership status, specialized for both on-premise and cloud solution of SAP. Work for BG Business Solutions Ltd.? Learning about BG Business Solutions Ltd.? "BG has made the transition as smooth as possible"
The BG Business team has been very patient and listened to all of our concerns about losing certain reports and functionality during the switch over, and so far we have been able to maintain business as usual. I have not compared it to another SAP implementation consulting firm, but so far the BG Business Solutions team has been great to work with. Respond as BG Business Solutions Ltd.
Sign in to G2 to see what your connections have to say about BG Business Solutions Ltd.
What SAP HANA Consulting solution do you use? T-Systems provides ICT solutions from a single source. Decipher Software Solutions is an Information Technology services firm specializing in ERP Implementation, Mobile & Cloud solutions, Product Development and Offshore Services. At Excellis, we analyze your customers and users before development begins. We use that data to design, develop, and evolve your ERP, CRM, and mobile tools into impactful solutions. It's as simple as that. Expedien specializes in providing enterprise data management services such as data quality, master data management, data migration, data integration, data warehousing, business intelligence and big data analytics to its clients in North America. Since 2006, Fusion Consulting has brought business intelligence and data warehouse solutions to the marketplace as an award winning SAP Gold Partner and Cisco Preferred Partner. ICM delivers SAP Consulting Solutions that integrate Business Processes and Technology Solutions across the value chain. SAP Platinum Partner and member of United VAR. Co-located in Kuala Lumpur & Penang. CyberTech Systems and Software Inc.
CyberTech is a digital technology firm and a leading provider of next-generation geospatial, enterprise and cloud solutions. * We monitor all BG Business Solutions Ltd. reviews to prevent fraudulent reviews and keep review quality high. We do not post reviews by company employees or direct competitors. Validated reviews require the user to submit a screenshot of the product containing their user ID, in order to verify a user is an actual user of the product. Company: BG Business Solutions Ltd.
Hi there! 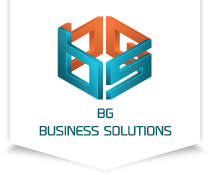 Are you looking to implement a solution like BG Business Solutions Ltd.?